When Nokia announced that a Windows Phone 7-specific version of Angry Birds Star Wars was still on the way despite the availability of a WP8 version, a few readers commented that Nokia’s continued support of WP7 still seemed unlikely. Well, let’s not doubt the Finnish smartphone manufacturer too much. They’ve just released not one but three Xbox games for Windows Phone 7, one of which hadn’t been unannounced beforehand! 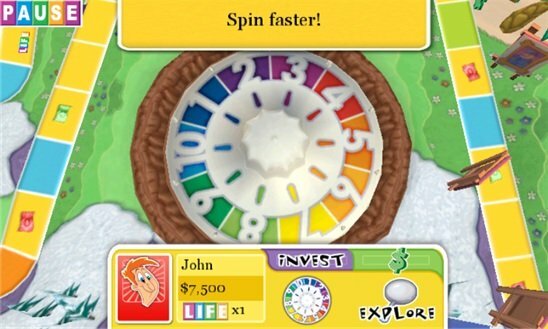 All three games: The Game of Life, Jet Set Go, and Parking Mania are Nokia exclusives and will work on both Nokia’s WP7 and newly-released WP8 handsets. We first heard about this EA game from a Nokia teaser video way back in January. It’s a port of the iOS The Game of Life: Classic Edition, as opposed to the newer ZappED Edition. In any case, this title faithfully the classic board game in which players simulate actual life events like choosing a career, getting married, and getting fined. Like the iOS version it only supports pass-and-play multiplayer, not online. Considering the server woes that Carcassonne and other online Xbox Windows Phone games experience, that may be for the best. Amusingly, the score description lists Xbox Live Achievements and friends leaderboards as a primary selling point, almost as if those identical features weren’t found in every single Xbox Windows Phone game. On the plus side, at a size of 23 MB it can be downloaded over a cellular data connection. This is the only title of the three that we didn’t know about beforehand, and it’s also the one I’m most excited about. Jet Set Go is a time management game from Ph03nix New Media. It was published on iOS by Chillingo, which seems to make it technically an EA game. Jet Set Go is a time management game that looks quite a lot like Sally’s Salon. This one has a less feminine theme though, so even insecure male gamers will be able to play it! Instead of running a salon or a day spa, the game puts players in charge of a travel agency. Guys travel too! On top of managing various customers, you’ll engage in tourism-themed minigames like taking photographs, all while visiting colorful and exotic environments. I can’t wait to give this one a go when I pick my Lumia 920 up later this morning. If you’re stuck without a Nokia handset, you can still sample the PC version for free at BigFishGames’s website. 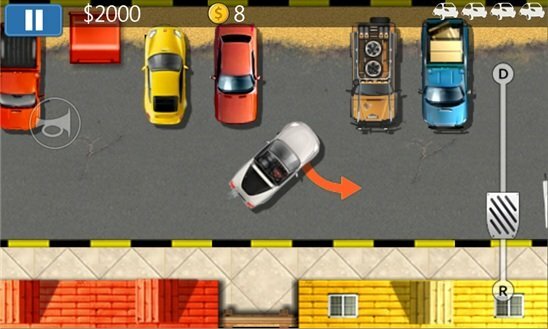 Parking Mania comes from Russian developer Mobirate and publisher Chillingo (EA). It was also teased in that January Nokia video. The object of the game is to park cars. Exciting, right? Well, there are also items to collect and hidden areas to find. Just clearing the level isn’t enough, though; you’ll want to three-star each one too. With over 80 short levels to play, this could be a good mobile experience. The store description lists “being able to play your own music tracks as well as the Parking Mania tunes” as a feature. Hey, somebody tell Nokia that we can do that in every single Windows Phone game. Yeah, that bit was simply copied from the iOS version’s store page. Parking Mania clocks in at 46 MB, slightly larger than the Windows 8 version. Speaking of which, folks rocking Microsoft’s new tablet and PC OS can get Windows 8 version for free right here. Too bad the phone game’s not free too, but Nokia did have to bankroll it, after all. Windows Phone Central will have full reviews of Nokia’s latest exclusive Xbox games in the weeks to come.